The former chairman of the Independent National Electoral Commission (INEC), Prof. Maurice Iwu, during 2005 and 2010 has faulted the declaration of the Osun governorship election that held on September 22 as inconclusive. Prof. Iwu, who was in office from June 2005 to April 2010, spoke on Sunday following the declaration of the guber poll as inconclusive due to vote difference by the Chief Returning Officer, Prof. Joseph Afuwape. “Our proposals could be applied only in senatorial, House of Representatives, and state assembly elections and returns, for which the Constitution did not specify how these returns should be made. “In this, what is required by the Constitution is that the ‘first past the post’ and/or that the candidate must have the polled majority of the votes cast. “Secondly, that the candidate in addition to it, must obtain 25 per cent of the total votes cast in two-third of the LGAs of the state in question or of the states in case of presidential election. The electoral act or INEC guidelines cannot supersede the constitutional provisions for that purpose. “As the constitution has clearly spelt out the manner and how a return should be made in the cases of governorship or presidential election returns. “Now that the abuse of this tool is becoming obvious, the beneficiaries of this anomaly have refused to listen or adjust accordingly. 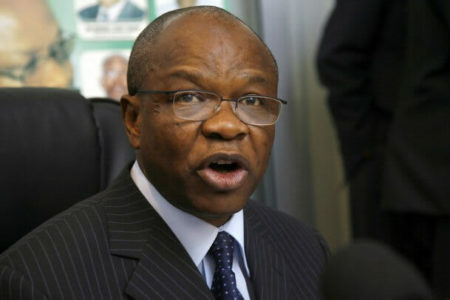 A former chairman of the Independent National Electoral Commission (INEC), Prof. Maurice Iwu, has dismissed as false and mischievous reports quoting him as rebuking INEC for declaring Saturday’s Osun governorship election inconclusive. Iwu said he neither spoke to any journalist nor issued a statement on the election. In a statement, yesterday, Iwu said he was shocked that people could spread falsehood using his name. The former INEC boss lamented that thousands of Nigerians may have been misled by the report and added that it was shocking that some people churn out lies and fake reports and wondered how he could have issued a statement on the Osun election and only one online news portal would have access to it.